Without a lot of hoopla, unless you already were getting emails from the BBC, the venerable network finally launched their long-promised streaming service in the US. Yet upon its initial announcement last week, BritBox was missing something absolutely crucial to the promise: classic Doctor Who episodes, which had been pulled from Hulu last year. The subscription fee is $6.99 a month, and there’s a lot more programming than just Doctor Who. BritBox has Red Dwarf, Blackadder, and A Bit of Fry & Laurie, among other shows with cult followings in the US. There’s also Tom Baker’s turn as Sherlock Holmes. What I haven’t figured out yet is if the BBC is going to pull what Hulu and Netflix do, and rotate some of the programming out. Here’s hoping not; it would just be great to have Doctor Who at our fingertips. 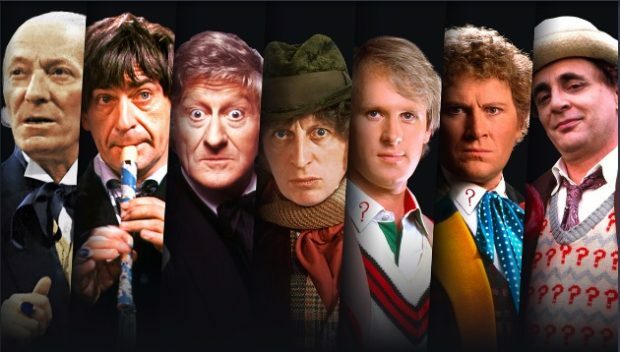 There are no missing episodes starting with the Third Doctor, so I don’t know why a few are “unavailable.” Looks like a handful of Dalek episodes, which I guess could be some issue with the Terry Nation estate about how many they can stream? And The Five Doctors, which is anybody’s guess (and which Rifftrax will be doing late this summer). The unavailable Sixties episodes look legit; looks like they’re leaving out anything with more than maybe one missing episode. Many of those have been reconstructed with animation on DVD, to mixed success. Interesting thought on the Dalek issue. Time to start digging around.